Cuba Gooding, Jr. won an Oscar® for his role as Rod Tidwell, the gum-flapping NFL wide receiver whose four-word mantra is perhaps the most memorable line from the 1996 blockbuster Jerry Maguire. How does that catchphrase relate to MSPs? Simply put, they are struggling to monetize BYOD. 35% – MSP respondents that said they are not organized to support mobile devices. 28% – MSPs that said they have not considered selling mobile support. 26% – MSPs providing mobile support but don’t sell it as a major offering. 25% – MSPs that have started supporting their customers’ mobile devices, though there isn’t a specific charge for the service. 2% – MSPs providing their customers with mobile device support and doing it well. Which of those figures do you consider most alarming? It’s a loaded question, considering they all speak to a larger, common point: MSPs are missing a golden opportunity to create a recurring revenue stream with mobile device management (MDM). That article was published late last year. So if the idea was limited in scope at that time, it may not be an option to businesses four years from now. IT research company Gartner predicted earlier this year that 50% of companies by 2017 will require employees to use their personal smartphone, tablet or other mobile device on the job. In other words, an MDM solution capable of supporting the BYOD use case is rapidly becoming a necessity for businesses that need to secure and manage an array of devices. 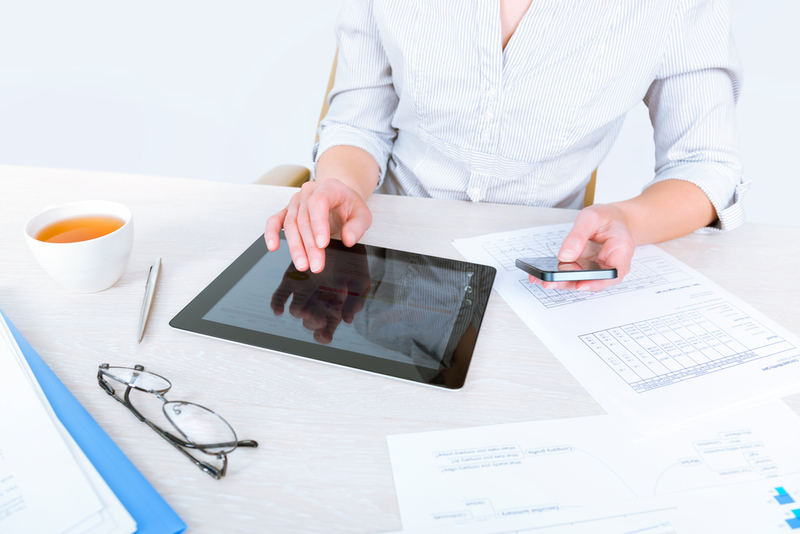 Spiceworks recently reported that 61% of small to mid-sized businesses support BYOD. However, a mere 17% of IT professionals surveyed said they implement MDM technologies. Digging a bit deeper uncovers the best argument MSPs can make for adding MDM to their range of services: Nearly one quarter (23%) of IT pros feel managing and supporting BYOD is “a headache for our department.” The percentage grows for businesses with 100 to 249 employees (29%); it’s even higher for businesses with 250 to 999 employees (31%). In fact, only 17% of respondents to the Spiceworks survey said they “fully embrace this trend” of MDM. BYOD clearly isn’t going away. It’s equally clear that many businesses prefer MDM be handled for them. Opportunity is knocking for MSPs, and they can capitalize with a cloud-based MDM solution offered through the vendor’s remote management platform. Remote lock, memory wipe and password reset – Ensure your customers’ data remains protected in the event a mobile device under your management is lost or stolen. Device tracking – Monitor in real time the whereabouts of your customers’ mobile devices and, by extension, the business intelligence at their fingertips. Automated provisioning – Configure the mobile devices you manage for email and wireless networks, and set security policies. In-depth reporting – Receive additional insight into the status of devices registered to the network, enabling you to better protect your customers from data theft or data loss. At the end of Jerry Maguire, Tidwell celebrates in humorous fashion; he learns his pass-catching ability is being rewarded with a new contract. How mobile devices in the workplace are managed – and who manages them – is a script that’s still being written. MSPs have the chance to play a starring – and lucrative – role. Learn more about adding mobile device management as a service for your customers. Marc Thaler is a Writer/Editor at GFI Software. Before joining GFI, he enjoyed a 10-year career as a sports reporter, gaining extensive print and broadcast experience while writing for the New Hampshire Union Leader and ESPNBoston.com. A Syracuse University graduate, he understands the value social media plays in today’s world, and enjoys serving as a contributor for the GFI blog.